For the first time ever a godfamily will christen a cruise ship! 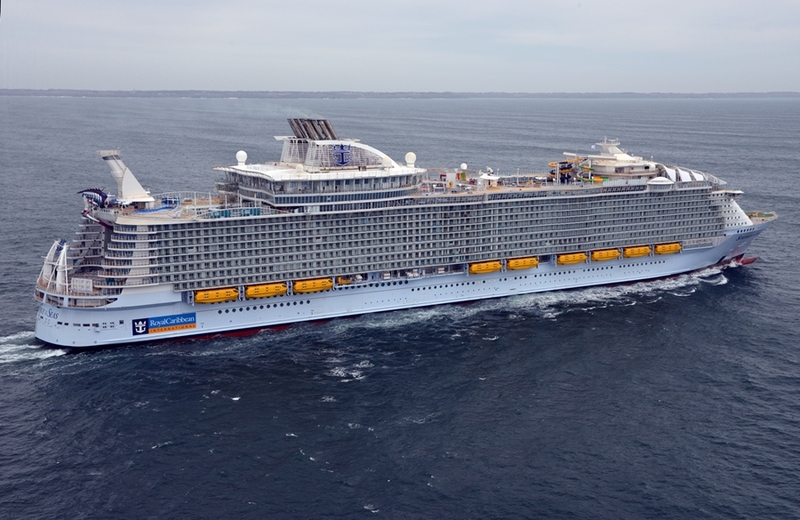 Royal Caribbean has chosen Carlos and Alexa PenaVega, along with their 17-month-old son Ocean to name Symphony of the Seas which is currently the world’s largest cruise ship. The announcement of the PenaVegas as Godfamily is a first for the cruise industry, reinforcing Royal Caribbean’s promise to deliver unforgettable experiences to guests of all ages. The selection of a new ship’s guiding spirit, customarily a godmother, is rooted in a longstanding maritime tradition. The role is often held by renowned athletes, celebrities and royalty. 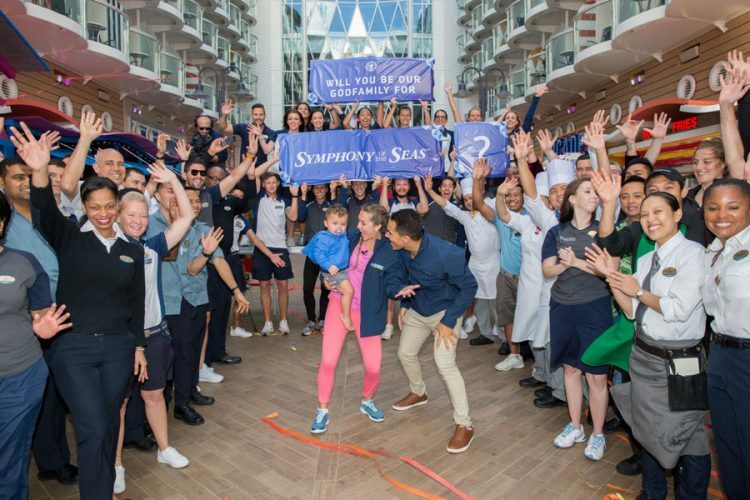 In November 2018, Carlos, Alexa and Ocean will be the first family to have the honor of naming Symphony of the Seas and bestowing a blessing for the safekeeping of her crew and guests during a formal ceremony when she arrives to her permanent home in Miami. The young family has firsthand expertise on the distinct combination of high-energy experiences only found on Royal Caribbean, having celebrated a number of milestones on the award-winning Oasis Class ships, including getting engaged on Oasis of the Seas and spending their babymoon on Allure of the Seas. Royal Caribbean’s nearly 25-year relationship with Carlos began on his first cruise when he was just 4 years old, only to be beat by son Ocean, who sailed for the first time at 13 months. The newest ship to join the Royal Caribbean fleet, Symphony of the Seas redefines how guests of all ages stay and play, delivering the ultimate family adventure. The PenaVegas are globetrotters who inspire families as they explore and open themselves to a variety of the world’s most exciting cultures, foods and experiences. Symphony of the Seas is homeported in Barcelona, Spain for the summer, visiting Palma de Mallorca, Spain; Provence, France; and Florence/Pisa, Rome and Naples, Italy as part of 7-night Mediterranean sailings. Beginning Nov. 9, Miami will become Symphony of the Seas’ year-round homeport, making Symphony the first new Oasis Class ship to sail from the cruise capital of the world and Royal Caribbean’s new state-of-the-art Terminal A. The ship’s 7-night Eastern and Western Caribbean cruises will feature visits to CocoCay in the Bahamas.